Where was David Hasselhoff ''The Hoff'' in Marbella 2019? The veteran actor David Hasselhoff and his wife Hayley Roberts spent a few days of vacation at the luxurious Puente Romano hotel in Marbella, Spain. Where they celebrated New Year's Eve 2018. David Hasselhoff, the veteran interpreter of Baywatch 1989 – 2001 or Knight Rider 1982 – 1986 welcomed 2019 from a luxurious hotel in Marbella. The actor and his wife, Hayley Roberts, have spent a few days in the city between restaurants, parties, and walks by the sea. David Hasselhoff and his new wife, Hayley Roberts, have decided to head to Marbella to welcome the new year. The couple has tried to go unnoticed as if they were an anonymous couple, but they didn't mind being recognized. When someone noticed their presence and greeted them or asked for a photo, they did not hesitate to please them. Above all, during the walks in sportswear along the local promenade or when they were sitting on a terrace by the sea. 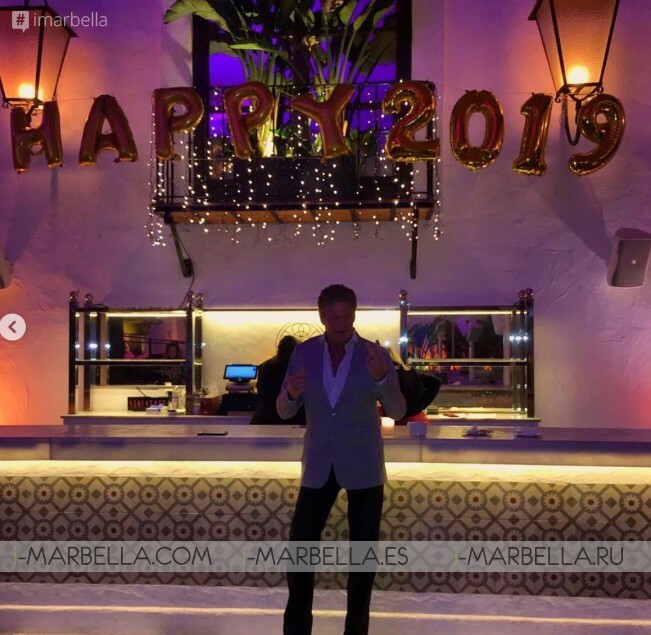 The couple stayed at the exclusive Puente Romano Hotel in Marbella where they also enjoyed a lovely New Year's Eve party, as the actor reflected through his Instagram account. "Peace, Blessings, and Unity. Happy New Year 2019" was the message with which he wanted to congratulate the year to his thousands of followers. One of the images in which they have been hunted is with a friend in the Japanese restaurant Nobu in Puente Romano. The enclave that the famous Japanese chef and Robert de Niro opened next to a boutique hotel with the same name in one of the noble areas of the Puente Romano hotel, in the heart of Marbella's Golden Mile. Although they were dressed in very casual attire, sportswear, and sunglasses, they were recognized by a couple with a baby sitting next to them and with those who did not hesitate to stop and chat. Hayley and David even brought out all their paternal instinct, showing themselves to be very affectionate and close to the little one, to whom they dedicated tender gestures and glances. It would not be surprising if the interpreter, who is already the father of two older daughters, is thinking of extending the family with his third wife, 27 years younger than him. David Hasselhoff prepared a new album and has performed in different European countries like Austria and Germany. His presence on the Costa del Sol has gone unnoticed by the media until on the day of farewell was published a photograph on Facebook by thewell-known PR and event organizer in Marbella, Kenza E. Carlsson.